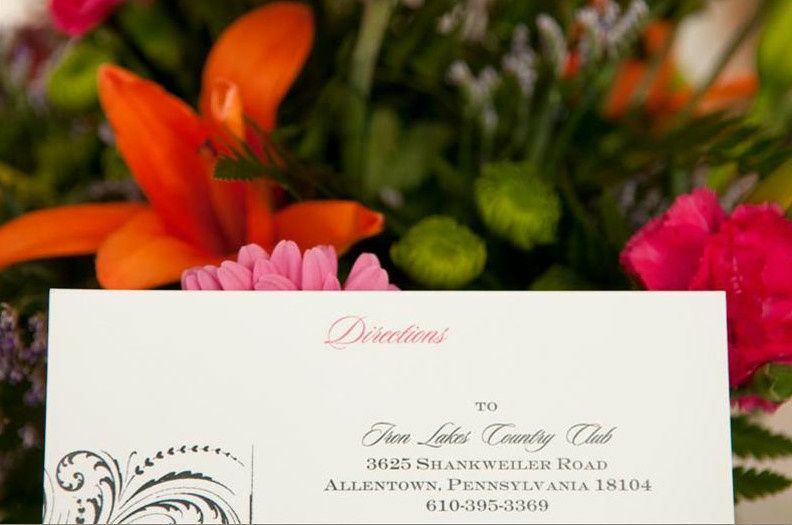 Based in Allentown, Pennsylvania, Iron Lakes Country Club is a wedding venue outside of Philadelphia. 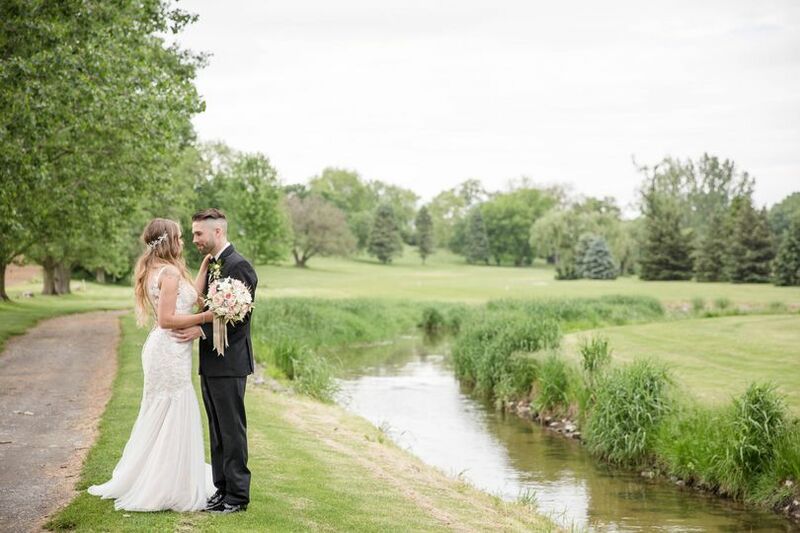 The beautiful Lehigh Valley venue, which was built on an old iron ore mine, has been hosting weddings for more than 40 years. 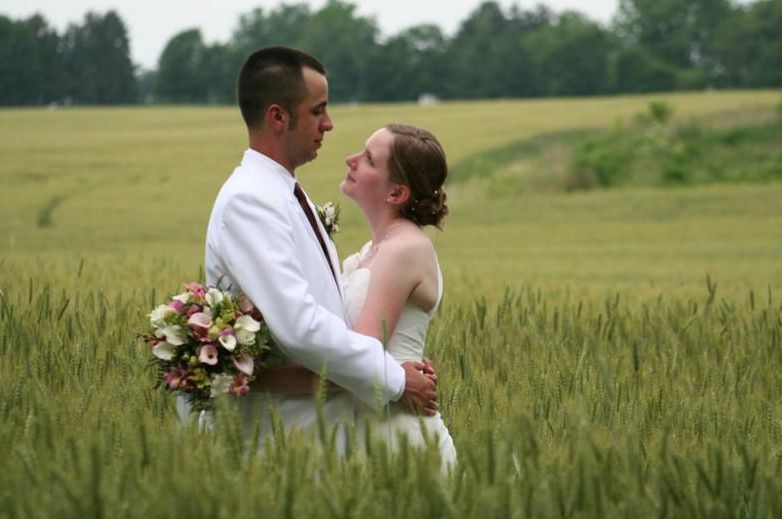 As a rural setting, the country club venue is best for rustic, country and elegant celebrations. 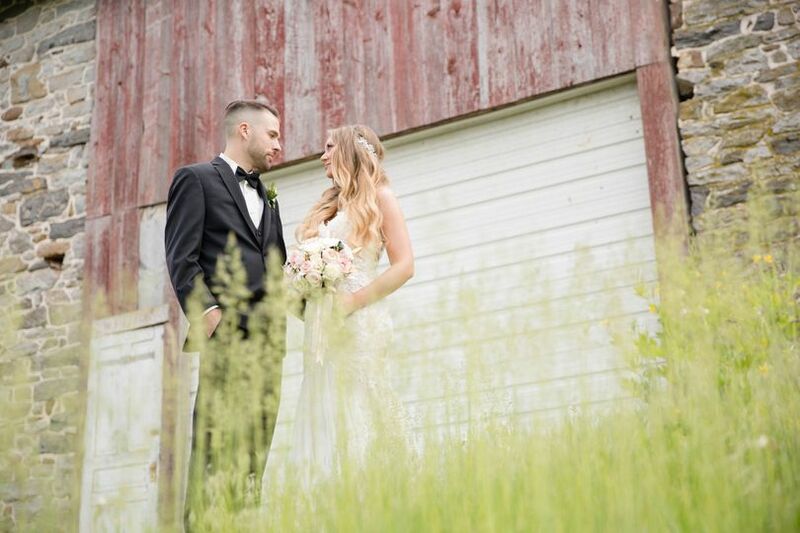 Guests will never forget the scenic lake views, historic barn and personalized service. 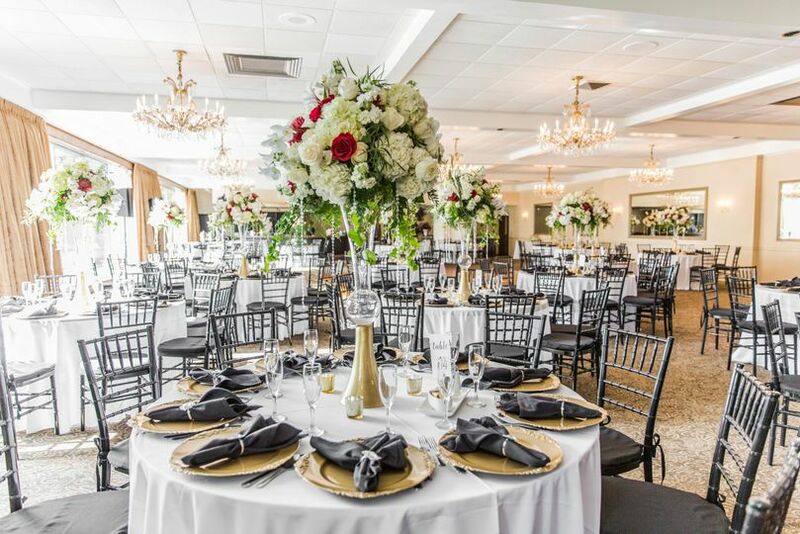 Iron Lakes Country Club can host up to 300 guests. 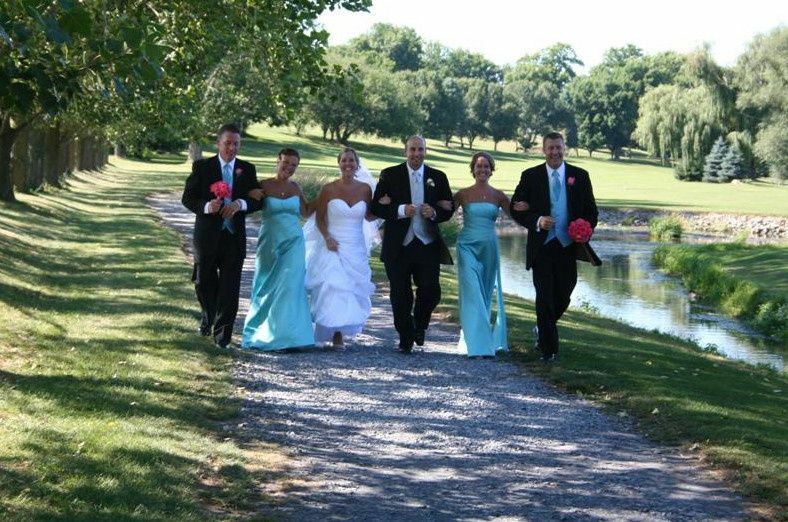 Ceremonies can be set up in the The Grove, an area with a brick path leading to an arbor and lake views. Another option is The 18th Hole, which has a path that crosses over a stream and onto an island. 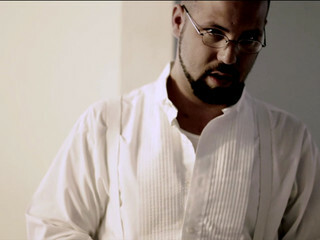 For an elegant reception, couples have three unique choices. 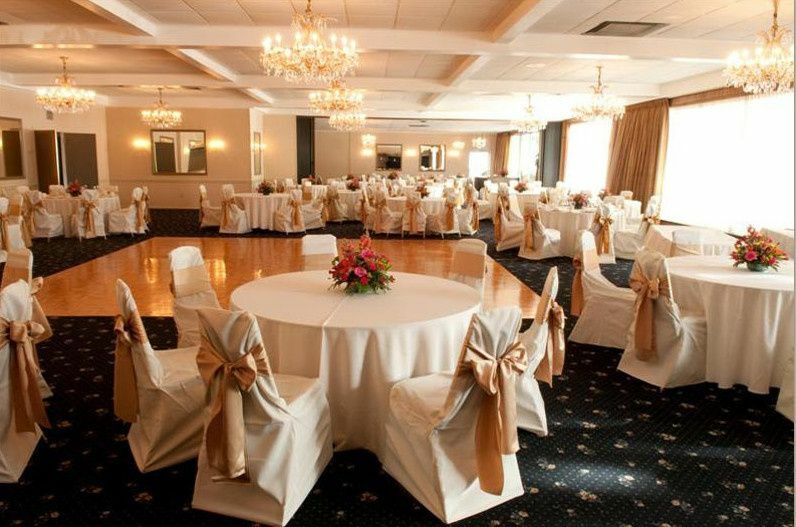 They can reserve the elegant Lakeview Ballroom with windows and a patio overlooking the lake. The Grove Room has an outdoor patio with enough space for 130 guests with gorgeous views of the lake and golf course. The Cypress Room is a perfect intimate space for up to 80 guests. The venue has a bridal suite for you to get ready in before the wedding begins. During the festivities, guests may also use on-site free parking and wheelchair access. Iron Lakes Country Club was built during the late 50s and early 60s. For the past 50 years, they have been proudly hosting weddings. 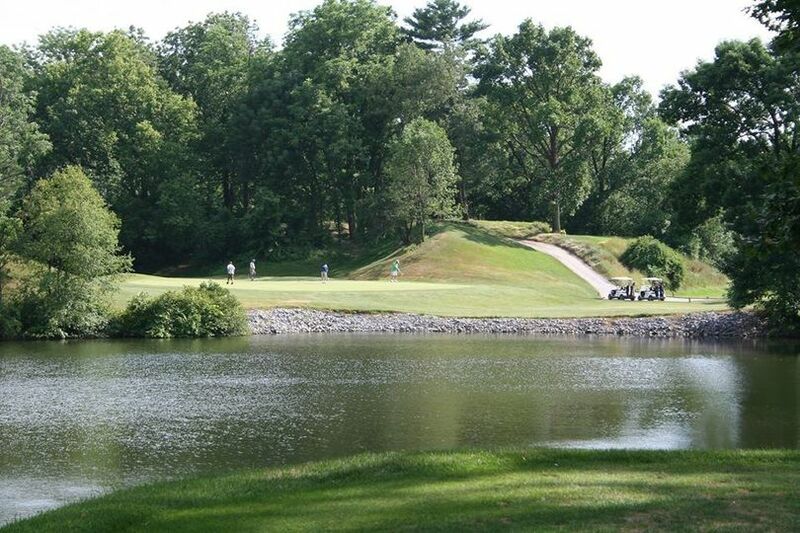 The city of Philadelphia is about 65 minutes from Iron Lakes Country Club. It is 16 minutes from Lehigh International Airport, 55 minutes from Doylestown Airport and 65 minutes from Philadelphia International Airport. Nearby attractions include Lehigh Valley Zoo and Covered Bridge Park. We had our wedding here on 10-21-17 and it was PERFECT! Since day 1 it has been great.....easy and stress free experience. Deb and the staff are beyond helpful and pay attention to all the little details. The food is AMAZING! We wish we could do the day all over again. The venue is beautiful and super affordable! I highly recommend this venue. Look no further!! Thank you, Iron Lakes Country Club!! We had our rehearsal dinner at Iron Lakes Country Club. Deb was wonderful to work with considering I was an out of town bride. She was able to meet with us once to show us the room and go over our options. We booked our rehearsal dinner about a year in advance so we later had a follow-up call to go over the final details. The room looked beautiful when we arrived and the food was delicious. We couldn't have picked a better place to hold our rehearsal dinner. 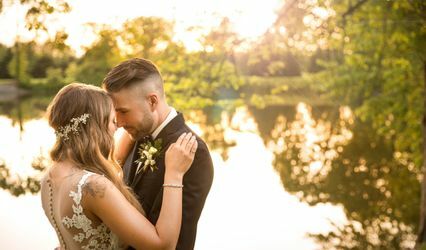 If you are looking for a unique and beautiful location for your ceremony/reception with a flexible staff, then look no further. We used this venue for our reception and our wedding was amazing. Debra Evans and her team were exemplary in what they do, always noticing details to take care of for us that we forgot, always making sure we were taken care of, and handled every detail to the way we wanted it. Being in the wedding industry, its sometimes hard to find people who will have that much attention to detail, but Debra and her staff were always on top of it. We are very happy with our choice in this venue! Thanks so much! Iron Lakes Country Club is honored to support our Military personnel. We recognize the sacrifices our Military men and women make for our country. As a way to say thank you, we offer a military discount of 10% to active service men and women. Some restrictions apply please contact Iron Lakes Country Club for details.